Click on pictures below to enlarge them for a more detailed view! 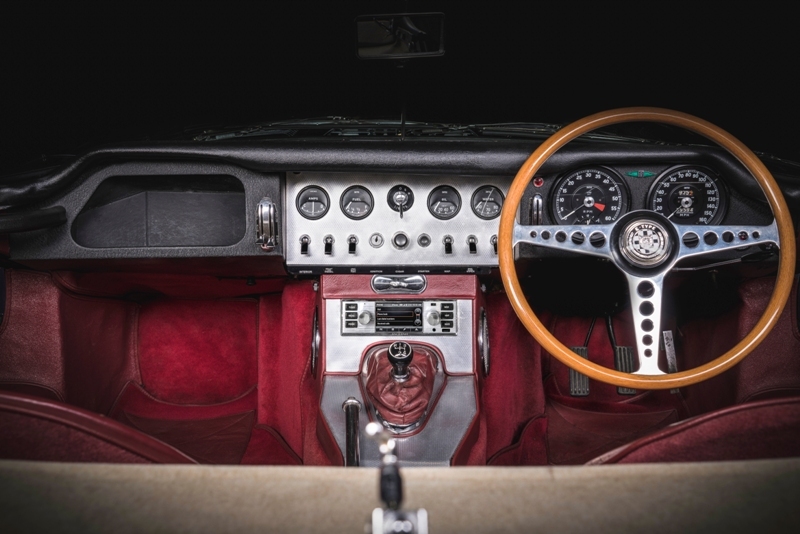 Xclusively Jaguar recently took a preliminary look at the innovative new Classic Infotainment System developed by Jaguar Land Rover Classic, which can be adapted to suit most classic vehicles. As the system is continually developed and improved through customer feedback, we bring you this update. 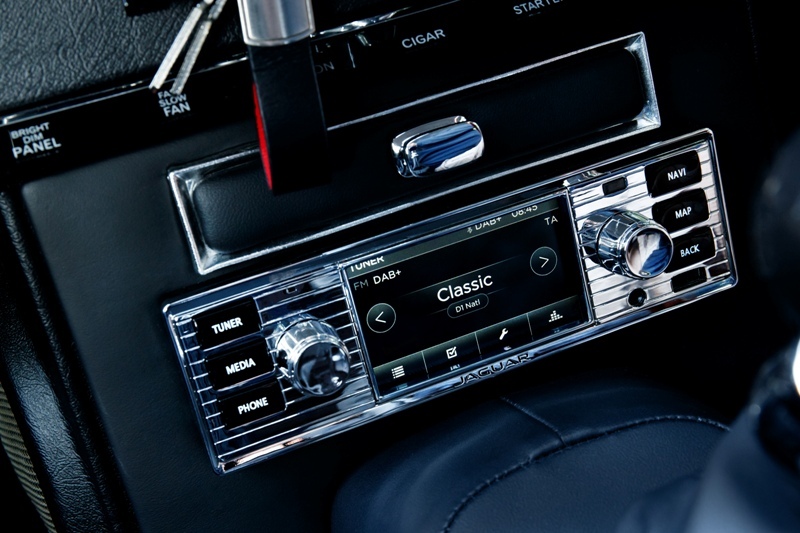 The Classic Infotainment System fits in perfectly with the authentic interior design of your vehicle and is packed with modern technology. 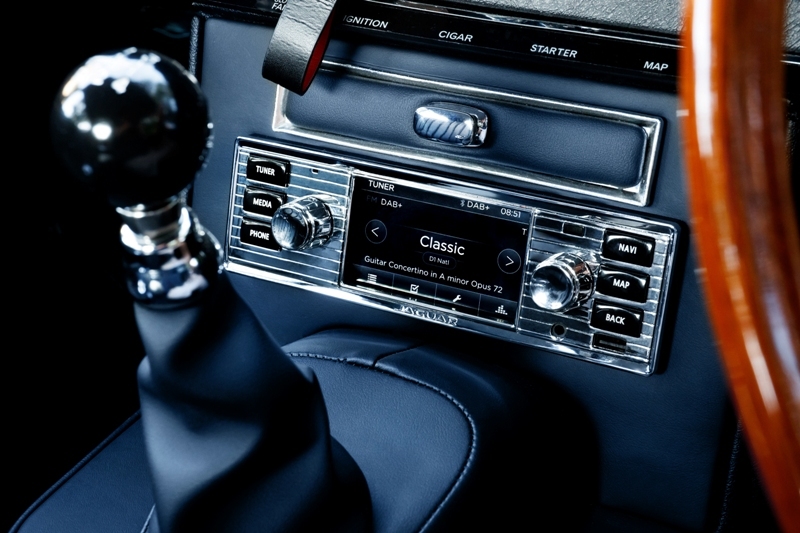 Keeping you better entertained and better informed on every single drive. 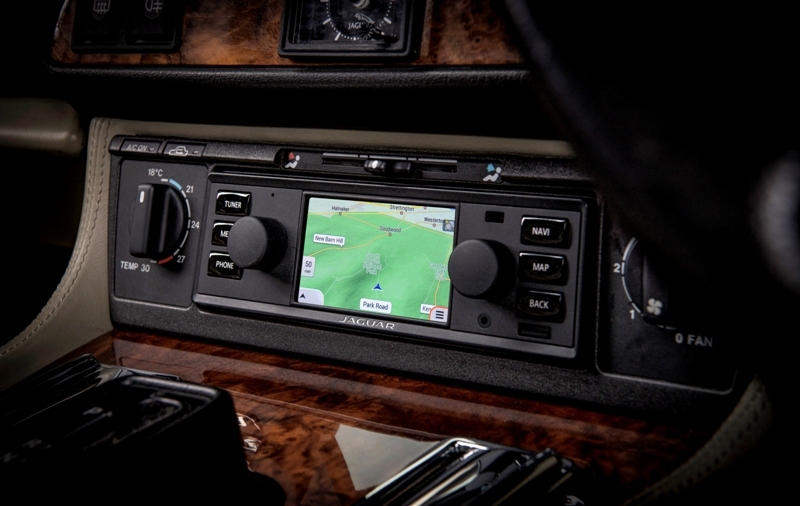 Providing route guidance in either 2D or 3D, the GPS Navigation System has a choice of up to 32 languages. 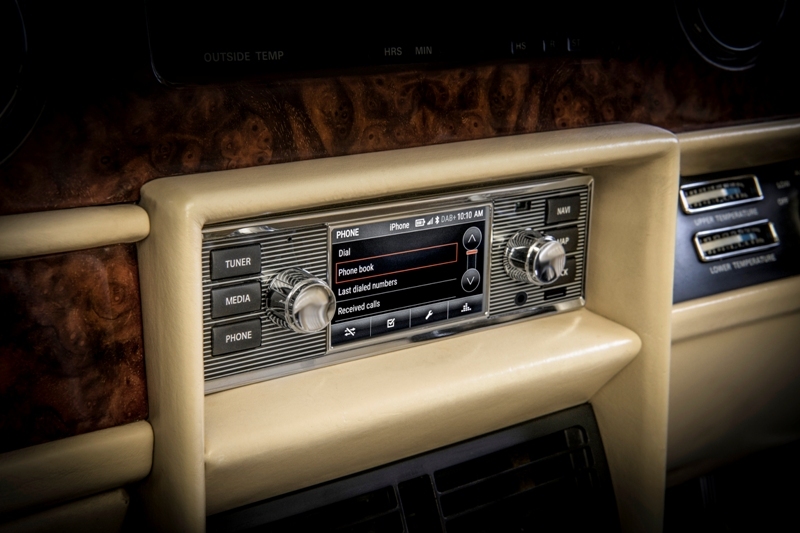 DAB+ and AM/FM lets you enjoy your favourite stations whether your music is classic or modern. Smartphone integration enables you to make hands-free phone calls and lets you transfer up to 1,250 existing contacts per device. 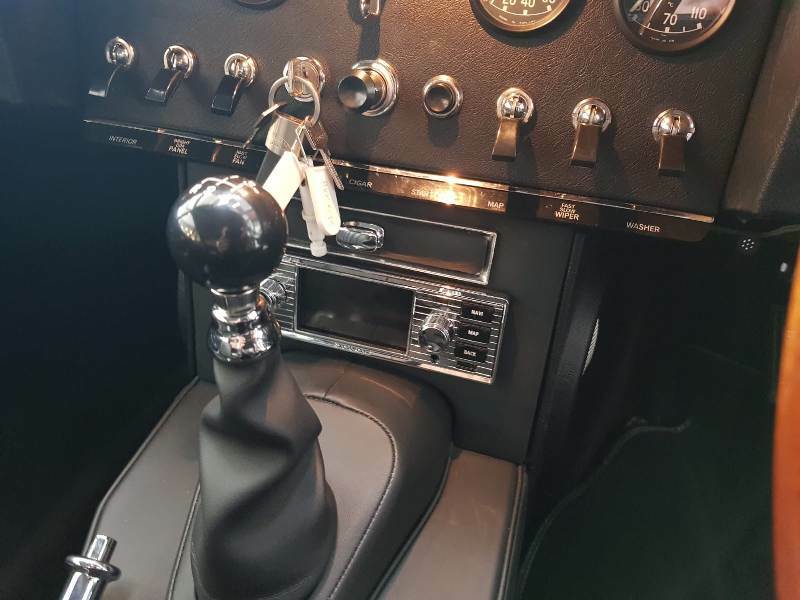 Additional features will include 3.5 inch high resolution touchscreen integrated between traditional rotary controls and buttons, internal microphone, TMC traffic alerts. 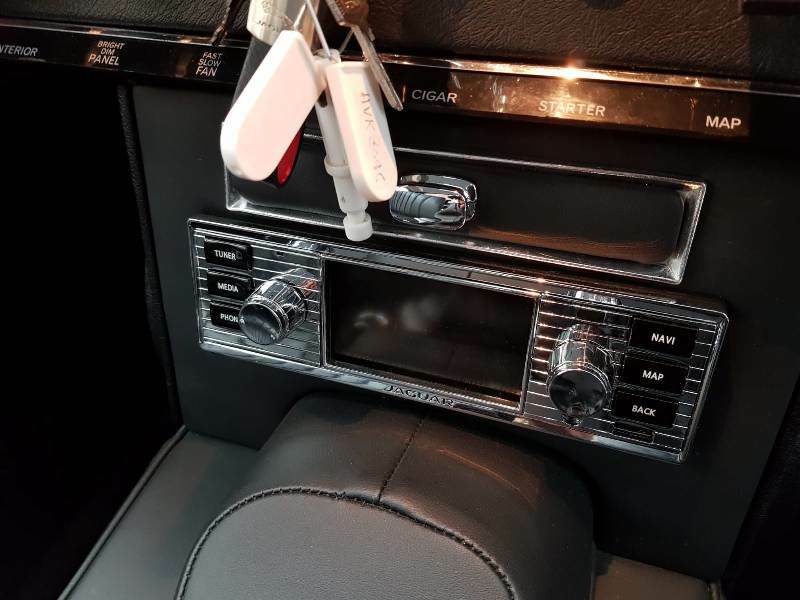 *It is possible to fit the Classic Infotainment System in other vehicles, but this may require additional bespoke fitment solution. 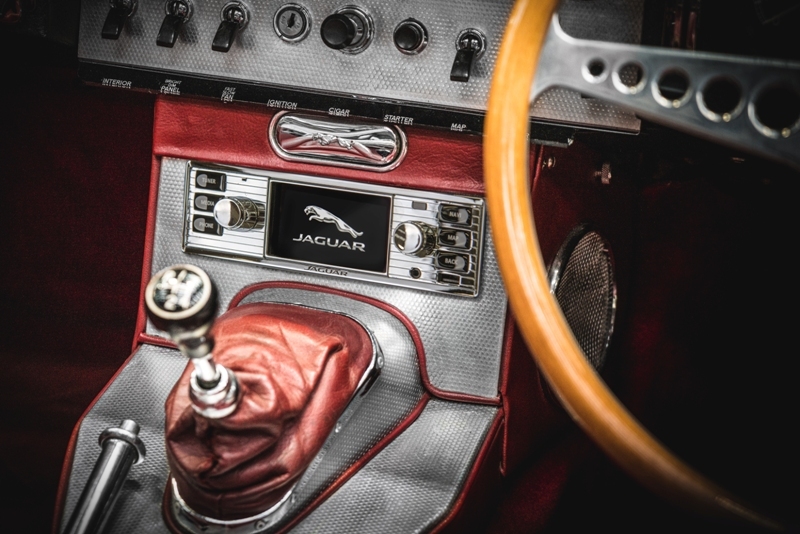 A fitting service is offered at Jaguar Land Rover Classic Works in Warwickshire as well as select Authorised Jaguar and Land Rover Retailers. 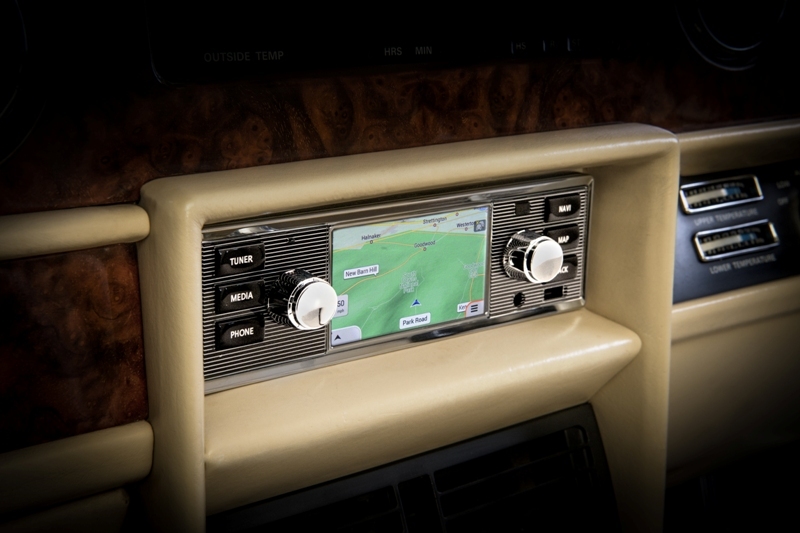 Classic Infotainment System gives a more detailed description of these products. Our rapidly growing team of highly-skilled engineers, graduates and apprentices at the Jaguar Land Rover Classic Works facility in Coventry specialises in outstanding Reborn restorations for both brands, and building exclusive New Original continuation cars, such as the Jaguar Lightweight E-type and XKSS.